At catcher in early 1991, the Cubs had injury problems, as well as poor hitting. That combination gave Hector Villanueva a chance, and he did his best to take advantage, The Associated Press wrote. He did so by rattling off five consecutive hits over two games, three of the hits home runs. "I'm a streak hitter," Villanueva told The AP after the second game. "When they come, they come in bunches." Villanueva was in his second season with time in the majors in 1991. He would eventually put together a streak of four seasons with time in the bigs. Villanueva's career began in 1985, signed by the Cubs as an amateur free agent out of the University of Alabama at Birmingham. He played much of his first year at single-A Peoria, moving to AA Pittsfield in 1987. He made AAA Iowa in 1989. He then debuted in Chicago in June 1990. With the Cubs in 1990, Villanueva got into 52 games, hitting .272, with 7 home runs. In late June, Villanueva knocked in the game-winner in the 10th, beating the Cardinals. "That's the first time in the big leagues," Villanueva told reporters afterward of the game-winner, "and I hope it's not the last." 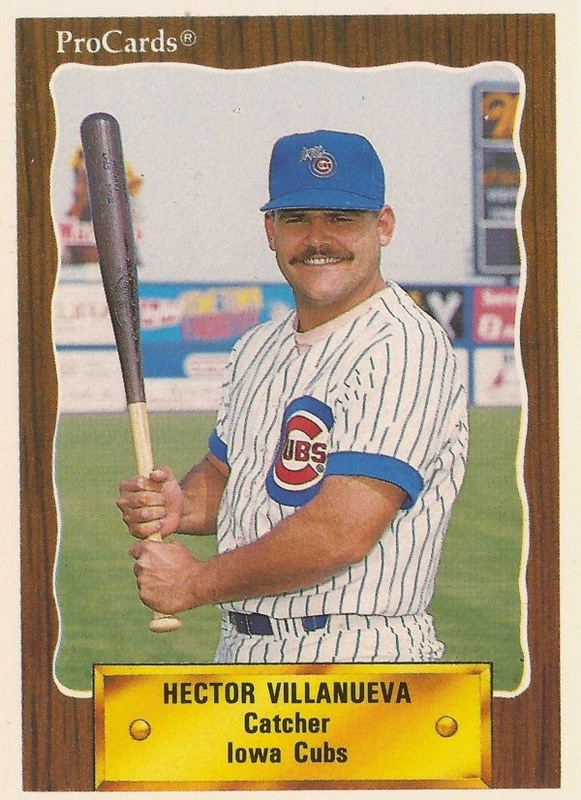 Villanueva returned to the Cubs for 1991, getting into 71 games, hitting .276. He also hit 13 home runs and knocked in 32. In August, he helped the Cubs to a win with a ninth-inning triple. In 1992, he got into 51 games for Chicago, his average dropping to .152. For 1993, Villanueva moved to the Cardinals, signing with them as a free agent. He got into just 17 games, turning out to be the final games of his major league career. In one early June 1993 game Villanueva hit a home run and knocked in five in a 9-2 Cardinals win. "I wasn't expecting to be in the lineup," Villanueva told The AP after that five-RBI performance. "It kind of caught me by surprise." Villanueva, though, continued playing in the minors and in Mexico for another eight more seasons, last recorded as playing in Mexico in 2001.